Alexandra Heminsley was never a runner. She was a bar-goer, a partier, and a fad exerciser. But on something of a whim, she decided to finally believe all of those rumors of the "runner's high," and set out for a jog. That first jog did not go well. 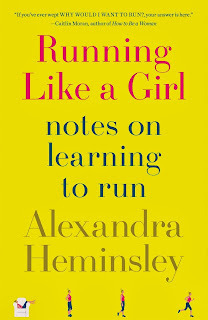 With humor and candor, she relays the details of her nightmarish less-than-one-mile trek in the opening chapters of her book, Running Like a Girl: Notes on Learning to Run. But what is so interesting about Heminsley's account of her months spent learning to run is her dedication, because even though that first run was a disaster, she kept on running. And running. And running. Until she found herself at the starting line of the London Marathon. Running Like a Girl falls squarely in the camp of "If-I-can-do-it-so-can-you" motivational reading, but manages to pull it off without ever feeling preachy or pushy. Heminsley has a sense of humor--there were moments here where I literally laughed out loud--but also a depth of emotion that brings the highs and lows of her running journey to life. She manages to motivate without talking down, making her tales of running accessible to those who have never run a mile, those who haven't run in years, or those who set out for a steady jog every morning before work (and by the way, if you fall in that last group, I'm totally envious of your dedication). As someone who has only recently come to running, I found a lot to love in Running Like a Girl. Here was someone like me, who believed that the runner's high was nothing but a myth and that running was just for exceedingly fit people with strong calf muscles. Someone who suffered the same insecurities about running in public, lining up at that first starting line, working through that first injury--but who managed to run all 26.2 miles a first, and second, and third time. 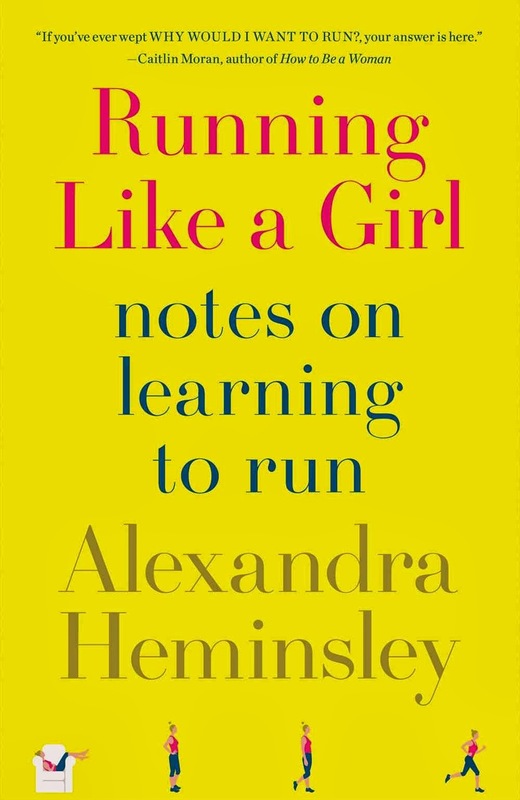 By the time I finished the book, I decided not only that I wanted to try to run a full marathon (I think I've seriously lost my mind), but that I want to be best friends with Heminsley (maybe I should call her Alexandra as a first step?). I'd recommend this without hesitation to anyone with even a passing interest in running. And though it tends toward female runners, with advice on nail polish colors and sports bras, Alexandra's story of her own push to that first starting line will resonate with anyone, male or female, contemplating clicking that "Registration" button. I'm definitely not a runner by any means, though I do run occasionally. I love that Running Like A Girl isn't preachy at all and how relatable it is. I've put in a request at my local library for it. I hope you enjoy it! It was absolutely the push I needed to get out and start running again, as I'd let my training lag completely over the summer. If you've been thinking about it, this is the perfect push to actually trying it! AND it's a hilarious read, to boot. I've been working on my running... for like a year. Lol. I've worked up to 2 miles straight on the treadmill, but I haven't gotten into real, outside running yet. I need new shoes, and those damn things are EXPENSIVE. Sooooo I keeo putting it off. Maybe this will get me excited about it again. I trained for a half marathon last year, and even when I was up to 10 miles outside, I could never do more than 2-3 on the treadmill. I just got so bored!! The shoes are expensive but totally worth it, and this book is definitely a good way to get excited about running!